Richard Buckley Interview with Bruce Duffie . . . . . . . . . . The biography above provides the highlights (or bullet-points) of the life of conductor Richard Buckley. As can be computed, this webpage is being presented in March of 2016. The interview, however, was held twenty-two years previously, in February of 1994, when the conductor had returned to Lyric Opera of Chicago. -- Throughout this page, names which are links refer to my Interviews elsewhere on this website. As we were setting up, the conductor remarked that his life was extremely busy . . . . . . .
Bruce Duffie: Does that mean your life is too busy? Richard Buckley: It’s pretty busy. It is acceptably busy in one area, and unacceptably busy in family and children, and that type of thing. BD: How is a busy maestro who travels all over the world able to balance a career and a family? RB: They’re not. They make a sacrifice. You get frustrated about it and you try and deal with it in one way, shape, or form, be it a sabbatical or pulling back for a period of time, or being extremely dogmatic with regard to not going and doing a job even though you want to do it because you want to be with your wife when she has your baby, and that type of thing. So those things all happen and continue to happen, and it’s a major juggling mode. And you have to have a willing partner, too. BD: Is she also in music? RB: I met my wife Suzanne in Toronto when we were working on a production of Rigoletto together. She was the stage manager, so she’s in opera, if you want to call it that. BD: So then she understands your travel schedule and the demands that are placed on you? BD: That’s true. So you’re getting it coming and going, because you have current family, and you are the son of a famous conductor [Emerson Buckley] who has probably helped you a lot in your career. At least I assume that he helped you in the beginning? RB: My father had an interesting, supportive, and also hands-off approach to nurturing someone who ended up following in his footsteps as a conductor. BD: Would he have been happier if you had been a businessman, or a surgeon, or something else? RB: Bottom line, I don’t know. He spoke that way until he saw my successes and heard me conduct a fair amount, and then was extremely supportive. He honored me by saying that he thought I was a lot better than he in the long run, which was, from him, quite a statement, because he certainly was quite a wonderful musician in many, many ways. I grew up in New York City, and I was singing quite early on both at New York City Opera and the Metropolitan Opera Boys Chorus, and doing Broadway shows. By the time I was seven I had three union cards. I was a professional child not in the child sense, but in the working sense, in music, in opera, and in theater. BD: Is that too young to start out? RB: It depends on how precocious you are, and how much support you have from your parents. In a way, by allowing me to do it my parents were supportive by allowing me as a child to really not have a childhood, but become a professional very early on. Looking now at my two children, eight and three-and-a-half, my wife and I really aren’t pushing them, or even allowing it. We’re trying to protect their childhood, and allow them to have those years of being kids. Both my parents were musicians. My father as you mentioned, and my mother was also a lyric soprano at the Met. By the time I was around she pulled back on that, and then started a very lifelong teaching career. At 81 she’s still teaching voice. So it was a different type of growing up experience than most people have. BD: You started out as a child singer. When did you gravitate into conducting? RB: I was a child singer, then I went to being an instrumentalist. I played piano when I was six, and picked up guitar when I was eight. I picked up trombone when I was eleven and later on did percussion. Actually, with my parents support, the trombone was the vehicle I used in order to leave home and go to a conservatory when I was fourteen. There and then I started to find out who Richard was going to be. At that time I wanted to be a singer. I wanted my voice to change, and I don’t know whether I really wanted to be a tenor or a baritone or a bass. I don’t think it mattered. I had a great facility as a child, but once my voice changed there was not that facility! For a while I dabbled in acting, while always playing the trombone and being a major in music, and having all my theory classes. I went to a school called The North Carolina School of the Arts which was in its early stages. It’s now almost 30 years old. It was developed by Vittorio Giannini, and it was a wonderful all-arts community. You could go there from seventh grade through senior year in college, and major in several areas, be it drama, music, dance (both modern or ballet), design and production, or visual arts. BD: Does all of this make the child decide too early what he or she wants to do? RB: As a conductor, no, because when do you figure out you want to be, and when do you really learn that you’re able to do it? The ability to be able to have an orchestra with which to work happens much later in life. I started to take conducting classes but I continued as a trombonist. I also dabbled in administration and managed an orchestra from the school that went on tour for eight weeks in Italy. I was in Italy every summer when I was sixteen, seventeen, and eighteen, which started me off in that Italian language and lifestyle which I truly adore. Later I got a Master’s degree, and then started really the conducting route after the education system in North America prevailed, because really there are very few schools that give you that opportunity. BD: Was there ever in doubt in your mind that this is what you would wind up doing? RB: Sure. I had a desire and I had goals, though at 40, now, I don’t know whether I had the same type of vision for goals. I think it changes. But I remember saying that I’ll give myself till 29 to get my own orchestra. I hadn’t defined what level of orchestra at that time. BD: You have any warm feelings for Seattle, so that if they ask you to do something you’ll almost automatically go back there if you can? RB: Yes, I do for both of those organizations. I was very, very visible in that community for ten years, and then they had a major change both in the opera leadership and in the symphonic leadership. I left at basically a year after the music director had died of pancreatic cancer. Then there was a time of music advisorship, and then Gerard Schwarz took over the orchestra. BD: Who was the music director before that? RB: His name was Rainer Miedel. He was a German who went there right after Milton Katims, who had been there for 23 years. So you look at the communities and orchestras and organizations, and they all have their own growth patterns and situations. BD: You were there in Seattle when they were adding to the opera house? RB: They had built it for the World’s Fair, and when I was there they added on more rehearsal facilities. It’s a Venenklausen house, which he kind of went building up the West Coast. The Dorothy Chandler Pavilion is his, and the opera house in Portland is his, as well as the Seattle Opera. They have all an interesting type of reverberant acoustic to them. BD: You’re offered all kind of operas, and you have to juggle your career. How do you decide which operas you’re going to accept to conduct, and which operas you’ll turn down? RB: [Laughs] The easiest way of making the decision is whether you’re available, calendar-wise. The next situation truly has become an issue for me, in terms of how it fits in with an overall schedule. How much time am I going to be away? Unfortunately, at present that is still not a strong enough issue for my guilt-ridden soul. When I go home and see my three-and-a-half year-old and she says, “Daddy, where have you been? When are you coming home next?” I’m only home a day and a half. It’s very hard. RB: Right, that’s true. Hopefully that’s not the next step. But for example, I’ve been here in Chicago since November 28th, right after Thanksgiving, which was not expected. But then I was home for a day or so, and then I was home for a week at Christmas, and then another day or so, and this week and a day or so. It just continues that way. BD: Where is home for you? RB: Just year and a half ago, since I’m on the road so much, since there was no at present reason to be in a specific city, since both my wife and I have lived in big cities all our lives, we decided to go someplace that had a lot of the good attributes in terms of good food and decent telecommunications and beauty, but not necessarily the same rat race. So we’ve just finished building a house in Santa Fe, New Mexico. Although it’s added at least four to five hours of travel time every time I come back from Europe — especially because you fly into Albuquerque and drive and hour — but once you get there it’s well worth it. We have a wonderful situation where we have two mountain ranges to look at and ponder about, and the kids seem to really enjoy it. BD: Are you more and more making sure that you have time to enjoy those mountains? BD: So back to your work and career. Once you’ve decided you have the time available to do an opera, how do you decide if that’s the opera you want to do? RB: I’ve developed a relationship with a number of companies with whom we work out my schedule two or three or four years in advance. So those are major blocks that get taken first of all. After this production, actually even during the last few performances, I’m flying back and forth to the Kennedy Center, where I’m doing a production of Madame Butterfly. That is a company I’ve worked with before, and already we’ve talked about doing stuff in the future. But then the next project I’m doing is with a new company in a new country, with a new piece for me, and that’s also something I am working on right now. I have around 36 or 37 operas in my repertoire, besides a huge symphonic repertoire. I say huge not from an ego point, but huge because American conductors are actually required to do that. If you’ve grown up in the system here, which I have and I’m proud of it, you’re not like a European who can come and be a specialist in one or the other of your native county. American musicians are really required, in a way, to be a much more broad based than their European counterparts. BD: Is this good, or bad, or just there? RB: Yes. [Both laugh] It has a little bit of it all. I’ve done a lot of Italian operatic repertory and I’ve done a lot of contemporary American works. It has to be contemporary because really the operatic form didn’t arrive to American composers that early on. But forget about the nationality. I’ve done a lot of contemporary repertory. BD: Do you enjoy doing new works? RB: The challenge as a musician is to be involved with them I enjoy doing new productions and new works because it’s the development of a different focus, the nurturing and the working with a director and a cast if it’s a new production, or of possibly a different way of looking at the piece. If it’s a new opera, we’re all working together in terms of finding the thing that communicates to us, and then hopefully then we’ll communicate to the audience. It is the same thing with world premieres of symphonic works. It’s a very exciting experience — not that I don’t love to conduct the standard repertoire, of which I have done a fair amount — but the other is a different experience. For example, doing Wozzeck for the first time. Not only was it a new production, but it was also, for me, doing a piece of the German operatic repertoire that is so pivotal, and such a culmination! BD: It’s one of the few new works that really is already a masterpiece. RB: If you feel that 1925 is new, but to the general public, the aural, listening experience, the musical vocabulary, is one that is still new. BD: For the general public, opera seems to die with Turandot. BD: They may let in a couple of the Strauss operas and maybe Peter Grimes, but the real easy-to-understand repertoire seems to die with Puccini. RB: But the vocalism is absolutely there and available, which separates opera from just being music. It’s the human voice. BD: Is there anything that you can do, especially in new works, to make sure that the life of the opera itself continues to grow? RB: If we’re speaking generalistically in terms of opera, one of the things I’ve continued to try to do is not shy away from doing world premieres. I’ve done quite a few, and am on the docks for doing some more. I’m supportive of doing that. Those pieces have to have music that has a vocal line to it, though. Music that doesn’t have that linear vocal reality at some point or to some degree, goes against what opera’s all about. Then, because then you have musical theater. Even in Wozzeck you have the development and usage of Sprechtstimme, which is really non-singing, yet half-pitched sounds, using words and rhythm for the voice. There still has to be an ample amount of real vocalism because that’s what opera’s about. BD: Do you make a definite line of demarcation between opera and musical theater? RB: It’s very hard. What’s nice is the development of American musical theater, which basically started first. Then people like Andrew Lloyd Webber stole from Puccini, and he has developed his own thing which is extremely successful and an extremely enjoyable theatrical experience. The composers for Miss Saigon and Les Miserables wrote works which are totally through-composed. I remember when I heard Les Mis, I was amazed at the usage of words in rhythmic time, almost as a Rossini secco recitative, but in the context of now. With Miss Saigon, they moved forward and developed more with that, and for me it was a very exciting observation of how that, in our more popularistic art form of musical theater, was developing that way. I don’t know if we can, in the future, make as much of a line as I feel that you can now. When you look back in a musicological way, we can chunk places out and say, “From here to here this happened, and from here to here that happened.” We’re living it now, and everything in our society, in the world, in music, is at such an accelerated pace. BD: Is it going too fast? RB: Yes, I think so... not that I can’t keep up. That’s not the issue. It’s just like the old adage of what’s wrong with sitting around and smelling the roses occasionally? RB: Well yeah! That was Anthony Newley, wasn’t it? RB: I am not sure we know where we want to go as a world society, because definitely we’re there now... although the countries and the nations are still holding their individuality, which is great, because a lot of wines taste different, but they’re all wine. [Laughs] If we ever get to the point where we find out that we’re all humanity, what we all need to figure out is how to make everybody nurture at least a little bit. That’s not going to happen in my lifetime or yours, I’m sure, and probably not in my children’s or grandchildren’s. But we will make some progress with the access to information, the computer age, the telecommunication age, which I certainly use. I look at my life, and wonder what I ever did before faxes. And look at the telephone and how that has put itself onto our society and into our cultures. There’s a lot of schizophrenia going on. BD: So how does music fit into all of this technology — the music that you and I are talking about, symphonic music, operatic music, even a little musical theater music? RB: Even jazz and popular music, and the stuff one listens to on the radio, whose ever taste listens to whatever. The bottom line is that music is the distillation of emotion. It is a way that man through the ages has been able to express their inner emotional self in a specific way. Once one figured out a way to write it down, then that expression has wonderfully been able to be communicated. We can play Baroque music, we can play classical music. It’s here for us now in our society, although it reflects nothing of our society now except in a historical bent. That is not nothing, but it’s not a present day reflection. I feel that music is the way we can share emotions. I look at my son, Brendan, and especially my daughter, Megan. She is three-and-a-half and I can turn on rap, I can turn on jazz, I can turn on the classical music, I can turn on opera, and I watch her react to it immediately in a physical swaying, in an involvement that is nothing that anyone has taught her. No society has taught her. It’s absolutely innate. It’s absolutely from within. BD: It’s a visceral kind of reaction. RB: Yes, and I believe that is what music is all about. I have chosen to communicate to others in the style of musics that I perform, and others do in other ways. All people generally are not a magnet to one or the other. BD: Are you optimistic about the future of these musics that you’re involved in? RB: Yes and no, to be honest. I feel that it’s at a turning point right now — if a 20 to 25 to 30 year period can be a turning point — but I think it is, in a larger sense. When I first started being a professional musician, in other words getting paid for what I do and still loving it, I started very young out of school. I pushed my way through school quickly, so I had my first professional job when I was twenty and had already gotten my master’s degree. But during college and those first few years, what was being presented as the present day contemporary music was an extremely confused, highly intellectual non-visceral music. I’m 40 now, and in the past 20 years I have seen that change drastically. Just look at the operatic and/or symphonic composers — people like John Corigliano, who has done one opera, but a lot of symphonic music that really makes people respond; John Adams, Philip Glass, Steve Reich. That’s the whole minimalist school, but they definitely have a specific voice, a big voice. BD: What about the melodists like Dominick Argento and Carlisle Floyd? RB: Or Bob Ward. Interestingly, I spoke with Bob Ward just yesterday. He was the chancellor of the North Carolina School of the Arts when I was fourteen and went there. And my father had a long involvement with a number of his world premieres. There was melody there, still. BD: Just as a sidebar on this, are the composers such Milton Babbitt and Elliott Carter off on the wrong foot? Are they getting lost, or are they just off elsewhere? RB: No, it’s like what people could say that about Schoenberg or Webern, I suppose. I don’t know if that is the case, yet when I came to Berg’s Wozzeck, I realized that what I felt I could bring to it was as much of a romantic line as I could possibly could. I had to gone to productions of Wozzeck. Before ever knowing I was going to be put on this project, I listened to recordings and went, “Gee, I don’t know if this is me.” Then when I was asked to do it, I spent around two to three weeks really studying the score and trying to find my inner workings with it. BD: They gave you that two week window of saying yes or no? BD: It’s good that you had the luxury of being able to turn it down and not put the company in jeopardy. RB: They probably knew me well enough that they knew eventually I would get to saying yes. For the company I had done both Antony and Cleopatra, which is extremely melodic and romantic in its vocabulary, and also Bright Sheng’s The Song of Majnun, but I got there. What I’ve been really pleased with is the experience. For me, first of all, there’s the absolute challenge of just decoding it, if you want to call it that, but then finding a voice that’s really specific from the piece. I really feel that I have achieved what I thought there was there, and I’d found it and done it. I feel I do a very romantic interpretation of this piece. BD: Without mentioning names, are there scores that you come to, either old scores or new scores, that you look at and you probe, and you find nothing? RB: I would say yes, but I would not say that has necessarily anything to do with the piece. It probably has more to do with me. BD: But those would be pieces you would turn down and not accept to conduct? RB: That would be because I think I’m not doing the composer and/or the institution that’s asking me to do those any justice. Even though earlier I mentioned that American musicians are much more broad-based in styles, whether one has that under their belt or not, if the piece doesn’t speak to you, then you shouldn’t do it because who are you doing it for? BD: Even if it doesn’t speak to you, could you not go through the production and work at it, and all of a sudden in the third or fourth performance it all becomes clear to you? RB: It could happen. It could happen, absolutely. But the question is, at some point, whether you want to allow yourself to go down that road. I’ve done some world premieres of symphonic pieces because of the glamour of the gig. At the place in which I was in my career development at that time, I said yes but I didn’t want to. I was attracted to doing this world premiere, and I worked harder and harder, and longer and longer on those pieces. Then when rehearsing the pieces, with the orchestra hating it, I was still trying not to show my distaste. Going through the process and doing it, then afterwards I was just really feeling very shallow and very hollow inside. That’s not worth it. BD: But at least you know you gave it your best shot. BD: So then you would not do that piece again? BD: Would you not do that composer again? RB: That doesn’t necessarily mean that I would not look at another piece of that composer. BD: Starting out with your background in the vocalism, are you necessarily a better conductor for singers because you respond and understand them more than someone who’s just a pianist or just a violinist? RB: I don’t know. Ask a singer. [Laughs] I don’t think I’m necessarily a ‘singers conductor’, but I may be to some. The impression I get from some conductors is that they’ll follow the singers to the cliff, and go off the cliff no matter what the singer does. I feel there has to be a combination. There are times when you have to say, “You may get off, but I have got to keep on going and you have to catch up.” Then there are other times where you can be flexible and follow. I’m not a conductor who has his head buried in the orchestra. I am a conductor who is sympathetic to what they’re doing, sympathetic to the realities of staging, and hopefully sympathetic to the dramatic pulse of what’s happening on stage. Then I try to combine all that with what I’m trying to do musically. BD: But still, all the time you’re driving the bus. RB: Yes, the conductor drives the bus, just like the stage manager drives the theatrical stuff on stage. But once the performance starts the conductor drives the bus. BD: What do you expect of the people who are behind you in the audience that come, pay their money, and buy their tickets every night? RB: I hope they will receive, and accept it or not accept it in terms of their individual backgrounds, enjoyments, or whatever. This is, after all, when all is said and done, an entertainment, and for some, that has been lost in reality. I still feel that opera and symphonic music can reach a large percentage of our community. Historically there has been a tendency for those art forms to become elitist, and for even the managements and the boards to become insular in their approach to who they want to come to the concerts, what they want to be happening at the concerts, what portion of the society the performances are touching and relating to. BD: Do you want to expand the audience all the time? RB: One has to think that way, because if you don’t, you’re dead. BD: How are we going to get the generation that looks at MTV and enjoys Beavis and Butthead into the theater for Wozzeck or Madame Butterfly? BD: ...or parts of the answer? RB: Or parts of what I thought could become an answer. Unfortunately, in the past twenty years no one situation or no one organization has been able to have the big dollars — the big reason for everything — to be able to really codify a program that would be consistent. When I started off with the Seattle Symphony and took over basically all of their educational concerts, these were not only concerts when mom and dad would buy tickets for the kids to come on Saturday, but there were also concerts that were being provided free for students to come and hear in the opera house and/or every gymnasium in western Washington state. Those programs were designed specifically for fourth, fifth, sixth, seventh graders. 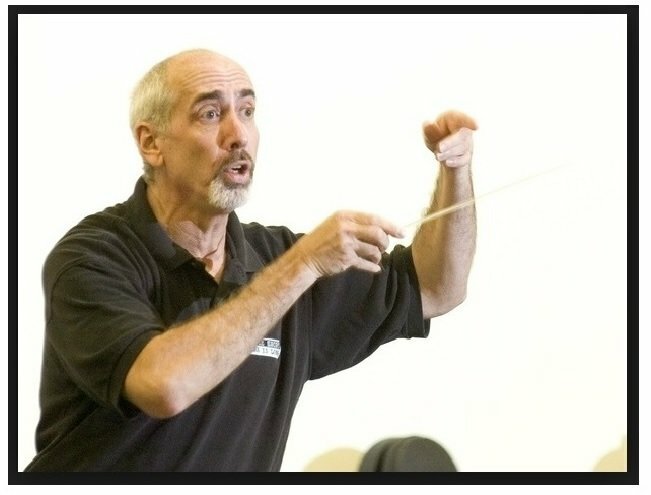 What if there was ever a community that could guarantee that once every three years each elementary school child went to a symphonic concert, so that by the time someone graduated from high school they would have had four different symphonic experiences that were specifically tailor-made to those age groups? And suppose that before those students came to the concerts they had teachers who weren’t so afraid of the orchestra themselves because they had been provided materials so that they could create an atmosphere in which the students would feel comfortable. They would have a little bit of information and a little bit of knowledge of what they were going to be hearing, and the experience they were going to be going through. What would a community be like if you had done that for ten years, and then you had people that had graduated from high school, gone through college, and were now in the work force? BD: You’d have a musically-healthy community! RB: Who knows? Unfortunately, it’s never happened. BD: I thought you said this is what they were doing in Seattle. RB: We started to, but again, dollars get pulled back. Never has there been a consistent program with that type of focus to do that. Now let’s take the opera situation. Again, there can be programs introducing the operatic voice, because going to the opera house is a big deal for a student. So that’s one issue already. Going and seeing performances onstage, with costumes and sets and lights, and possibly in a foreign language, that’s a whole other issue, too. But then add the classically trained human voice. That’s a whole different animal, especially to what a lot of kids grow up with what they hear in terms of singing — or non-singing — in the popular arts. I don’t mean to be derogatory, and it’s not my issue; it’s just not the trained vocal sound. The students don’t know how to respond to that. What about having exposure with a couple of singers and a piano in first through third grade? These are all parts of things that I’ve had my hands in at some time, but unfortunately, again, it’s not a codified experience. BD: How can we make sure that it’s not like taking castor oil — where you have to do it once in your life just to get it over with? RB: The bottom line to that is for everybody involved — the designers and the performers — to realize that our job is entertainment. Classical music is entertainment. It’s more than that, yes, but it’s still is entertainment. BD: So it’s got to start out as entertainment to grab them, and then the art can be on top of that, wherever it goes? RB: Yes. The other thing that I was strongly involved in and believe in, is that especially in this day and age children hear with their eyes more than anything. There was a psychological study done called The Man. There was a chart which enlarged the different parts of one’s body, depending on how much one takes information in. I won’t go through the graphic details, but I’ll just say that there were no ears on the chart. There was a footnote on the bottom which said the eyes are so big compared to all the other senses, in terms of how a totally functioning human being takes in information, that they cannot be in the same. I think this is especially true now with the advent of television. BD: I was going to say that MTV has almost ruined the private listening experience, because you have to have the visual with the music to make the impact. RB: Even more is that there is a drastic decrease in one’s attention span. I find that to be problematic everywhere, not just in the appreciation of the classical music or any of the arts. That is a problem just living with two kids at home, and I see that being a problem with kids at school. It is the ability to turn on a television. I’m not negative. I like TV, too. I’m on the road a lot, so what do you do when you’re on the road alone? At some point you just turn on the TV and you veg, and that’s what it is, but it’s totally non-interactive. BD: Is there any hope? RB: Sure, because I’m a positive person. BD: Despite all of this, is conducting fun? RB: It’s great! It’s got its trials and tribulations, but for me it’s a release that is specific in my life. I love to conduct, and most people see that in my work. It’s a combination, to use your word, a visceral, as well as a physical and intellectual and musical way of having all that wash through you. It’s a feeling I’ve never experienced other than doing this. BD: I hope you get to continue doing it for a long time. RB: I hope so, too, actually. BD: Good. Thank you very much for chatting with me. I appreciate it. This conversation was recorded in an office of Lyric Opera of Chicago on February 3, 1994. Portions were broadcast on WNIB the following May, and again in 1998. This transcription was made in 2016, and posted on this website at that time. My thanks to British soprano Una Barry for her help in preparing this website presentation.